I’ve heard a lot of pregnancy announcements this past month from personal friends as well as on social media. 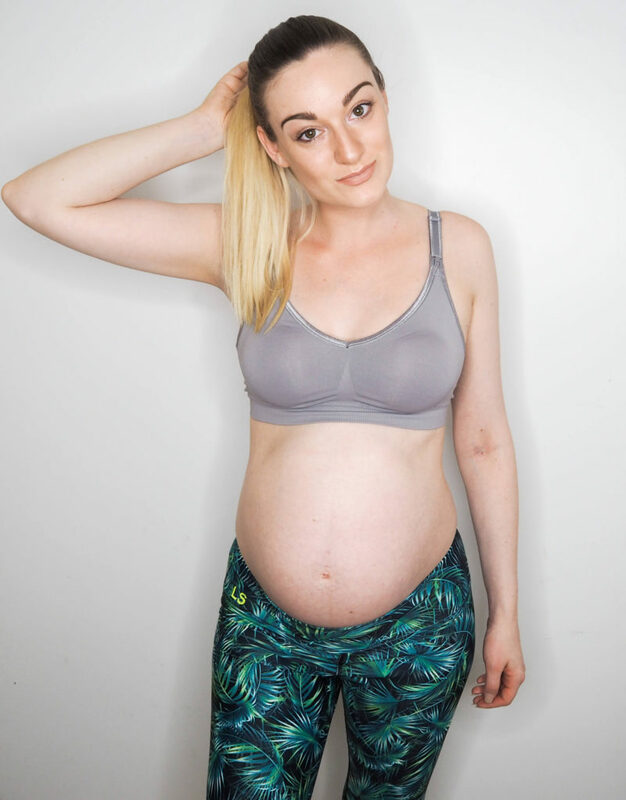 I’m sure you have noticed a pregnancy bug going round in the blogging industry! Falling pregnant at the start of this year means that while many are entering their second trimester, I am now starting my third. I guess this works in my favour slightly, and so I wanted to do a helpful blog post for those mamas to be out there! This post is all about the best bras at six months. Bravado is an award winning brand specialising in maternity and nursing bras. These bras are designed to go from bump to baby and are so comfy. At 18 weeks I was measured as a 32DD bra size, which is a size S on the Bravado sizing chart for this bra. Bravado have designed their bras with a clip system so that it’s easy to detach when breast feeding. I love the colour range in this bra, there are so many to choose from! Usually pink is not my go to bra choice, but this just jumped out at me and looked so fabulous. I’m wearing a 34 B/C here which fits just right! Again with the magic straps, this bra is so supportive without having the uncomfy underwire as my bump now reaches higher up my torso. I think it looks like an Easter egg if you look at my bump face on! This next set isn’t a specific maternity set, but don’t be put off in buying non-specific maternity bras when brands like Hunkemöller can provide! I adore this set from their non underwired range. The detailing is stunning and makes me feel like I’m still stylish- all mums to be shouldn’t have to compromise on underwear when buying the best bras at six months or at any stage. Find exciting brands that work with your new shape and help you to feel great about your body. I hope this has helped a few of you out who are struggling to find bras whatever stage you are at in pregnancy. Would love to hear your stories in the comments below if you are having trouble, or if you have already tried these particular bras out. Even though I’m not pregnant, this is a very creative and different post from what I’m used to seeing. I like how you took the time to give an honest and detailed review on each bra. Best of luck with your pregnancy!